Just a few kilometres from the hallowed MCG, and in front of a live audience of 2400 people, Crabb and Sales recreate Shane Warne taking his 700th wicket. And they've seen every version of A Star Is Born. Recorded live in Melbourne. 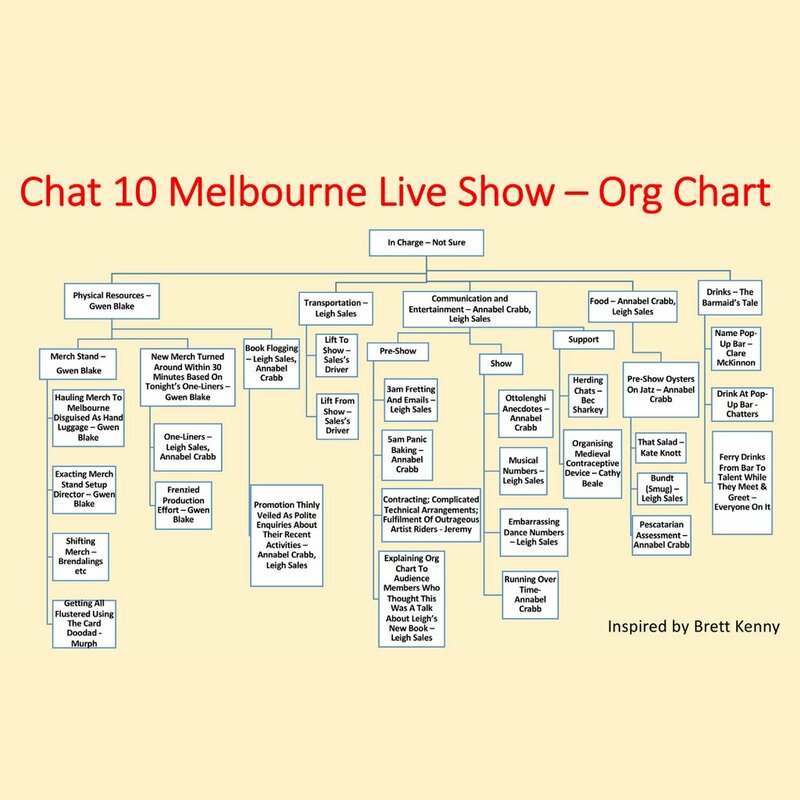 The Brett Kenny inspired Melbourne Live Show Org Chart. Here is the original Kenny Family Christmas Day Org Chart from 2017. Here is Brett! (Thanks Elizabeth Loads for the photo). If you were stuck in a hospital in rural NSW and desperately needed a cabbage, how long do you think it would take for you to procure one? Thanks to the Chat 10 Looks 3 Community only 23 minutes.